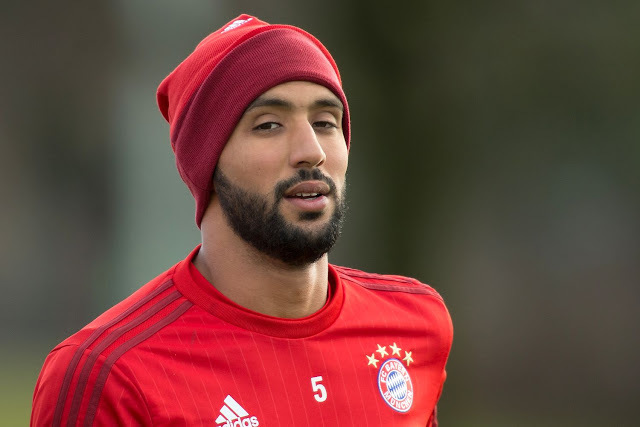 Morocco defender Mehdi Benatia is closing in on a transfer to Italian champions Juventus from German giants Bayern Munich, according to Gazzetta dello Sport. The Italian media outlet reports that only minor details are holding up the move, which is expected to be completed in the coming days. The North African will join the Serie A champions on a season-long loan in a transfer which will see him return to Italian football, having played for Udinese from 2010 to 2013 and Roma from 2013 until his departure for Bayern in 2014. Juve will reportedly pay €2million for the season’s loan and then another €16million next year to make the move permanent. The 29-year-old centre-back has been unable to establish himself as a regular at the Bavarian club, and the arrival of German international Mats Hummels from Borussia Dortmund only pushes him further down the pecking order.